The VW Transporter is very popular for conversion to an accessible mini bus for special needs schools, charities, local authorities and taxi firms. Euromotive conversions are individually built to customers' specifications, with advice from our experienced sales and engineering team. Vehicle available with a Certificate of Compliance to meet M1 Standards, complying with the European Directive 76/115 and ECE Regulation 14 (amended). M1 tested seats with all-age lap and diagonal belts. 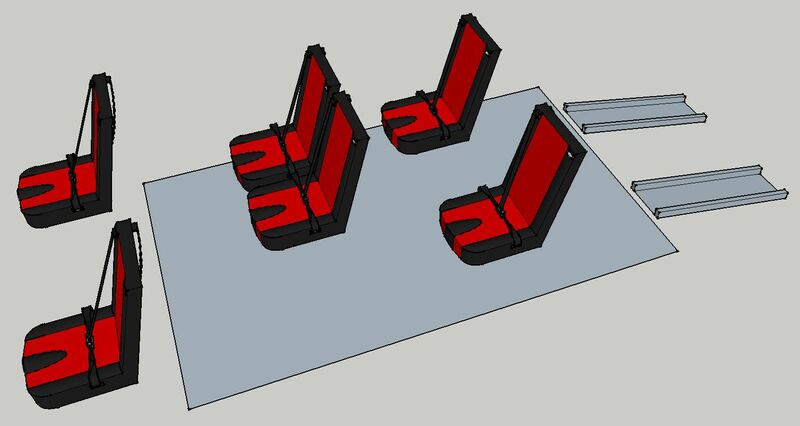 Optional colours, materials, head rests and gangway arm rests. Sliding door to nearside with optional manual or automatic slide out step. Fitted handrails to slide door. Access for wheelchair users through rear entrance inboard tail-lift or telescopic ramps. Ply lined roof and sides, covered in soft cord carpet. Ply lined floor with anti-slip vinyl. Floor tracking tested to comply with M1 standard. Certificate of Conformity and MIRA test documents supplied with each vehicle. Optional climate control or air conditioning. Tinted toughened direct glazed windows. Top slide units to sliding door and opposite panel. A range of other options is available on request. 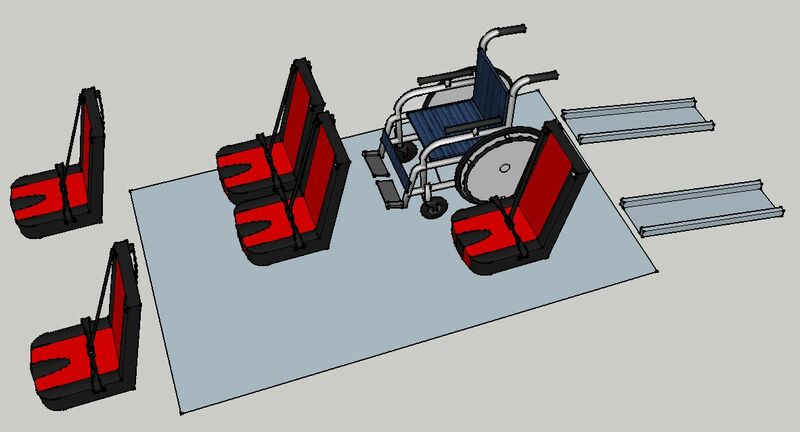 Our flexible approach to design enables you to specify exactly what combination you require to best suit your needs - you can choose the ratio of wheelchairs to seated passengers, hydraulic tail-lifts, underfloor side steps - the configurations are endless. Simply tell us what your requirements are and we'll plan and design base layouts for further consultation with you.